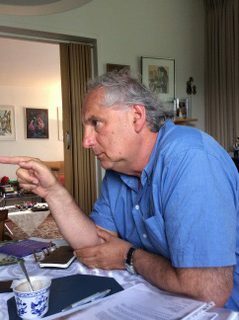 Interview with research director Jacques Barth: what motivated him to launch TreeGenes? Why did you start TreeGenes? And what is your personal interest in the study? I am a preventive cardiologist. I look for ways to treat disorders preventively. At a reunion of my high school class a few years ago, I noticed that all 2G (second generation) were quite successful in their careers, but had more physical and psychological problems than an average population. In addition, I counseled 2G clients as a voluntary lecturer at the Simon Wiesenthal Center in Los Angeles for about a decade and was struck by the fact that their children were often in poorer shape than they were. I searched the academic literature for the reasons why. Heart rate and blood pressure disorders and heart rate variability cause disturbances in the day and night rhythm. This can ultimately lead to various syndromes. These syndromes can be observed in the second generation. Barely any foreign studies on 2G are acknowledged in the Netherlands. So I felt it was time to conduct a Dutch study. I went looking for institutes and organizations to help fund the study. In the beginning, I was quite ambitious as regards the measurements, the target groups and the numbers. But we have since reduced the study to the essentials. We hope to be able to show that 2G deserves greater attention. And we hope we will find the keys to treating and perhaps even preventing trauma for other target groups as well. I myself am also 2G. The things we hear the respondents say are things I recognize in myself. I always thought there was something out of the ordinary about the 2G group, I just couldn’t put it into words. I think it is time for the issues to be acknowledged by the authorities and the research world. This is what I want to achieve. No more than that. I am seventy years old. I am not aiming for fame or fortune or status or anything like that. I have no financial interest in this. At my age, I just do the things I like. I want to offer my expertise in the field of cardiac and vascular disease to my 2G group and help keep trauma from being passed on to the next generation. What stage is the study at now (September 2018)? There are three stages to the study, as you probably know. The first was the three-generation oral history in-depth interviews. The interviews have been completed and the results are being analyzed. The second stage is the 2G oral history in-depth interviews with the cardiovascular examinations. We are halfway through the second stage now. The third is the epigenetic research. At the moment, the researchers are formulating the procedure. We hope to be able to publish the first results in the course of 2019. We are actually surprised that the whole project is going so well. More than two hundred respondents signed up, though we only needed sixty. I know from experience that in a multicenter study with various types of research being conducted, only about half the respondents show up. More than 95% showed up for TreeGenes! The respondents say they cancelled other appointments to take part in the study. I think these people ultimately feel they are being seen and heard. It was not our original intention to allow personal ties to develop between the researchers and the respondents. But they are developing and there is obviously a need for them. This is why we organize gatherings where the respondents can share their experiences. And there is a foundation that can provide support if people ask for it. The whole project is going along nicely. It is only outsiders who are concerned about it. The respondents and the researchers have complete confidence in the study. The respondents are brave people who have been given a way to stand up for what they need. The other researchers and I are happy we can let their voice be heard this way. And the study itself is objective. The in-depth interviews are conducted in accordance with strict academically accepted methods of interviewing and analyzing. The cardiological and epigenetic study is conducted with measuring instruments. These data are automatically objective. Each institute conducts its own sub-study and presents its own results, And the data are analyzed by an independent institute. So I don’t see any reason for there to be doubts about the results. Of course a follow-up study to further verify the results would be very welcome. The more we as a society know about all this, the better. After all, trauma costs a fortune, and not just in a financial sense. 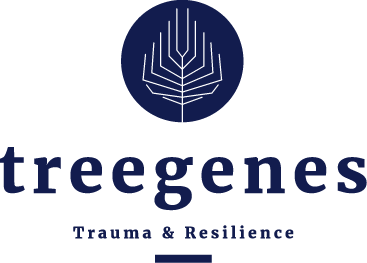 This research group can serve as an example for other groups who have been confronted with other trauma. Wouldn’t it be fantastic if we could find a way to treat the post-traumatic stress syndrome more effectively?